Time to clean up the mess! 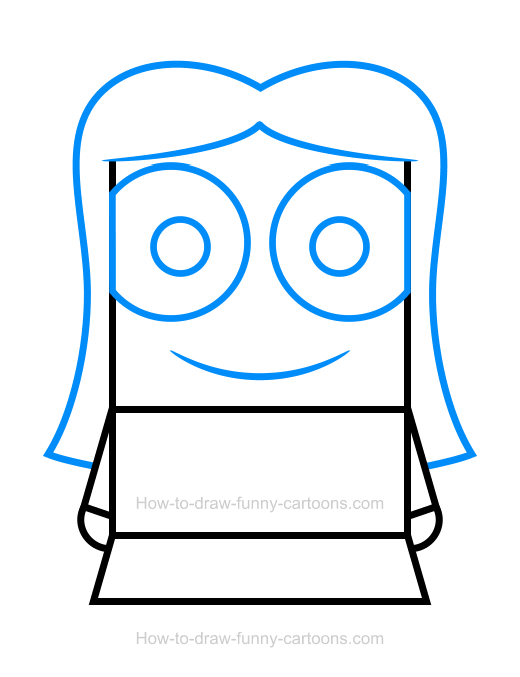 A cute maid clipart is available to help us, unless you simply want to learn how to draw this unique cartoon character using the simple drawing tutorial found on this page! Being a maid is not an easy job. You need to work hard to clean everything that needs to be cleaned and it can become difficult physically and mentally. That's why I have lots of respect for everyone who is performing this crucial job. In this lesson, I will show you how to draw a simple version of a maid using mostly rectangles, circles and a few lines to create simple accessories. 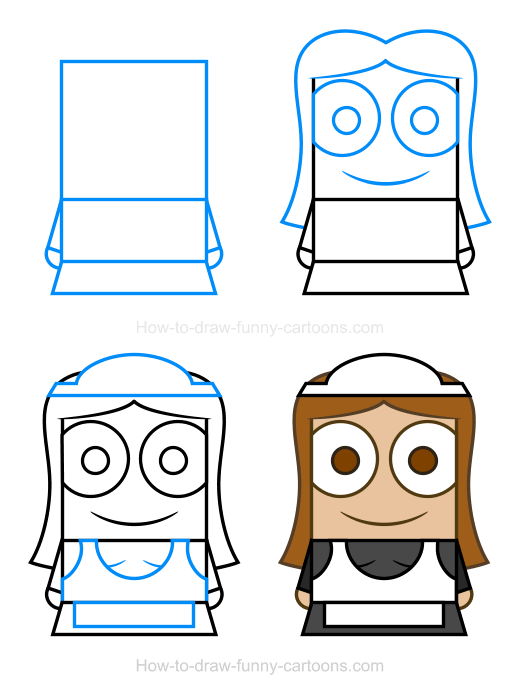 If you can draw a basic shape, then you can certainly create a cartoon maid like the one found on this page! Ready? Let's start creating now! First, you can add a large rectangle to form the head of the cartoon character. Then, sketch a thin rectangle below the first shape to represent the body. A third rectangle is drawn below the body. This one needs to be wider on the bottom to illustrate the skirt of the character. 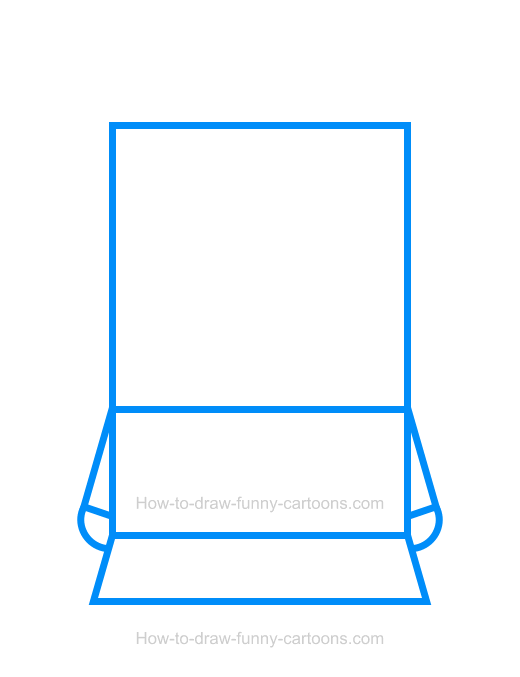 Complete this step by drawing small rectangles for the arms and small circles for the hands. For this second step, draw two large circular shapes to form the eyes. The pupils are made from smaller circles. Next, you can add a mouth using a curved line. Hair can also be added on top of the head using a bunch of curved lines as shown below. Cool! So far, this character looks like a normal girl. Let's add a few accessories to create a real maid. On top of the head, a small hat is created from a rectangle and a circle. On the body and the skirt of the maid, you can also draw an apron using a few curved lines. Now that this cartoon maid is completed, it's time to add some colors to bring this character to life! The hat and the apron can be white. The hair is brown, just like the pupils of the girl. Finally, the shirt and the skirt are dark grey. Of course, these colors are only suggestions. You can use any color you want to end up with something completely different. Be creative and have fun! Yes! 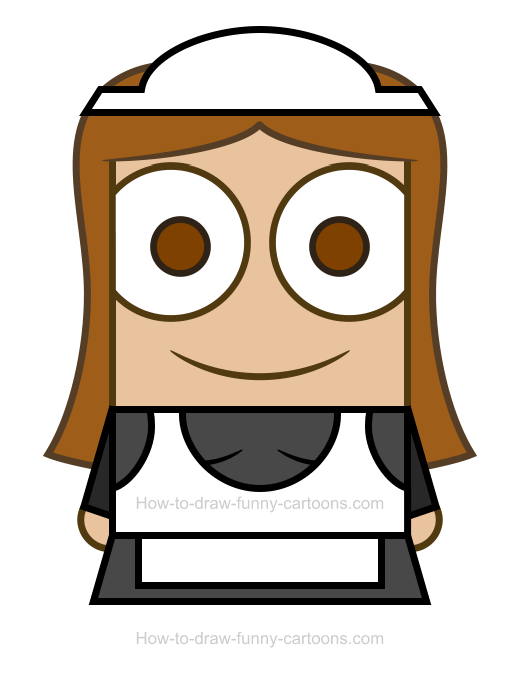 Another cool character (in this case a maid clipart) done in just four easy steps!